Spatt, P. D, and M. C Miller. “Growth Conditions And Vitality Of Sphagnum In A Tundra Community Along The Alaska Pipeline Haul Road ”. Arctic 34, no. 1. Arctic (1981): 48-54. http://www.jstor.org/stable/40509102. Miller, M. C, James R Stout, and V. Alexander. “Effects Of A Controlled Under-Ice Oil-Spill On Invertebrates Of An Arctic And A Sub-Arctic Stream”. Environmental Pollution 42. Environmental Pollution (1986): 99-132. doi:10.1016/0143-1471(86)90001-2. Lock, M. A, T. E Ford, D. M Fiebig, M. C Miller, M. AJ Hullar, M. J Kaufman, Bruce J Peterson, and John E Hobbie. “A Biogeochemical Survey Of Rivers And Streams In The Mountains And Foot-Hills Province Of Arctic Alaska”. Archiv Fur Hydrobiologie Beiheft 115. Archiv Fur Hydrobiologie Beiheft (1989): 499-521. Gibeau, G. G, and M. C Miller. “A Micro-Bioassay For Epilithon Using Nutrient-Diffusing Artificial Substrata”. Journal Of Freshwater Ecology 5, no. 2. Journal Of Freshwater Ecology (1989): 171-176. doi:10.1080/02705060.1989.9665226. Miller, M. C, and James R Stout. “Variability Of Macroinvertebrate Community Composition In An Arctic And Subarctic Stream”. Hydrobiologia 172. Hydrobiologia (1989): 111-127. doi:10.1007/978-94-009-2603-5_9. McDonald, M. E, A. E Hershey, and M. C Miller. 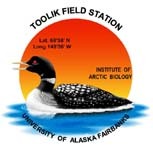 “Global Warming Impacts On Lake Trout In Arctic Lakes”. Limnology And Oceanography 41, no. 5. Limnology And Oceanography (1996): 1102-1108. doi:10.4319/lo.1996.41.5.1102.